Huon Salmon is harvested and delivered just in time to ensure the freshest possible product so we just love cooking with it! 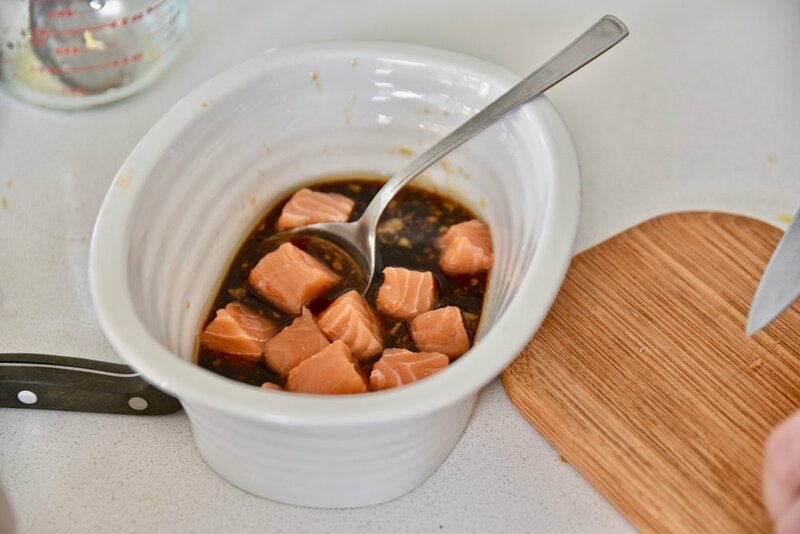 Here's a recipe that is super simple and delicious that really relies on as well as highlights amazing salmon. We hope you enjoy it! Prepare steamed brown and red rice. Prepare a marinade by combining the soy sauce, sesame oil, rice wine vinegar, ginger and garlic. Marinade the salmon in it for 30 minutes in the refrigerator. Peel long ribbons of cucumber using a vegetable peeler. Thinly slice the radishes. Slice the avocado. Cut the carrots into thin matchsticks. 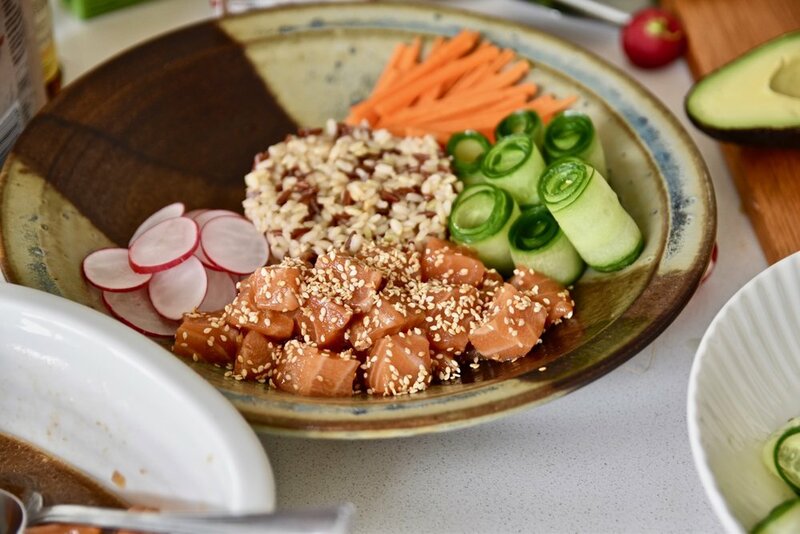 Serve the salmon along with the brown rice, cucumber, radish, avocado, and carrots in the bowl. Top with sesame seeds. ENJOY!